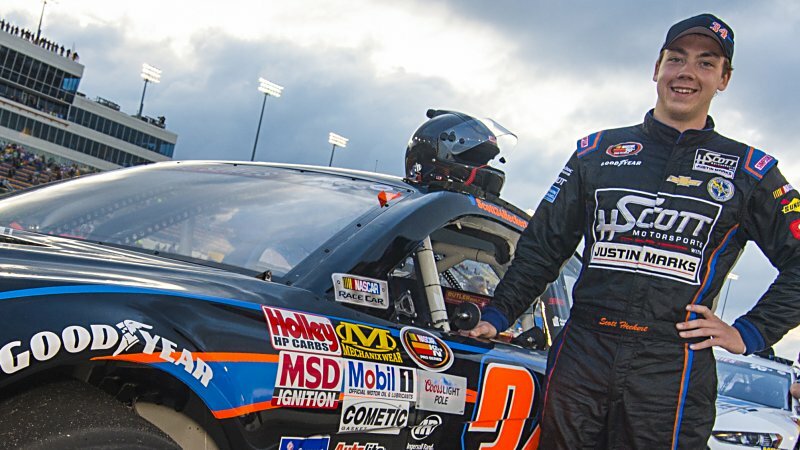 Richmond International Raceway…The NASCAR K&N Pro Series East (NKNPSE) heads to Richmond International Raceway this weekend for the second-to-last race of the 2015 season, the UNOH 100. HScott Motorsports with Justin Marks (HSMJM) is looking to rebound following the Biscuitville 125 at Virginia International Raceway. No. 34 Scott Heckert…Heckert comes into the UNOH 100 at Richmond this weekend looking to rebound from a disappointing finish at VIR a few weeks ago. After winning the pole and running up front throughout the race, the 21-year-old suffered from a tire issue in the closing laps at VIR, which cost him a chance at another road course victory. Heckert looks to rebound in his third career start at Richmond, where his best career finish is 18th earned in 2014. Heckert enters the UNOH 100 sitting second in the NKNPSE Driver Point Standings, 15 points behind HSMJM teammate William Byron. The UNOH 100 gets underway on Thursday, September 10 at 6:40 p.m. EDT and can be seen on NBCSN on Thursday, September 17 at 7:00 p.m. EDT.